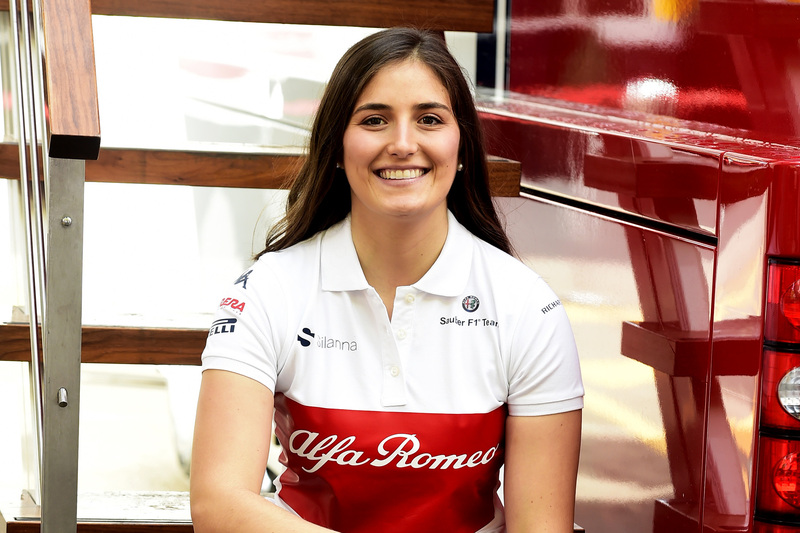 Tatiana Calderon took female participation one step forward with her promotion to Sauber reserve driver this week, but FIA Women in Motorsport Commission appointee Carmen Jorda couldn’t help but take it two steps back. For Calderon the news was an important progression milestone in her career. Moving from the last-placed DAMS outfit to the midfield Jenzer Motorsport in GP3 gives her the opportunity to put together the sort of breakout year that could land her a seat in Formula Two, while her new Sauber role will integrate her further into the elite world of Formula One. Formula One is of course Calderon’s dream, but according to Jorda, whose role with the FIA is promote women in racing roles, she shouldn’t bother because no woman can ever be good enough to crack the pinnacle of motorsport. This is but the latest chapter in Jorda’s unusual career supposedly championing women in racing. 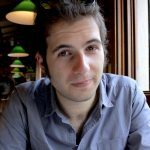 After completing a demonstration run in a Formula E car, the Spaniard remarked that women should focus on racing in the electric series because it is easier than other categories. “It’s a less physical car than in Formula One because of the downforce and because of the power steering as well,” she said. “In my experience I can say … in Formula One and Formula Two there is a barrier that is a physical issue. I think there is a big issue for women and that’s why there aren’t any in those championships. It’s an outstanding passage of commentary given she manages to trash both female drivers and Formula E in mere moments. But this is the norm for Jorda, whose journey to the motorsport notoriety is built upon controversy. The 29-year-old Spaniard first burst into the limelight as a GP3 driver in 2015, when she was appointed to the Lotus development driver role despite being bereft of noteworthy results. It eluded few, however, that the infamously cash-strapped team had moved to take advantage of Jorda’s financial backing — certainly it didn’t escape her former teammate Robert Cregan, who quipped she “couldn’t develop a roll of film let alone a hybrid F1 car” — but it nonetheless raised the ire of president of the FIA Women in Motorsport Commission, Michelle Mouton. “If I would suggest names of female drivers who have what it takes to make it to F1, I’d say Simona de Silvestro, Danica Patrick, Susie Wolff or even Beitske Visser,” she said at the time. Jorda remained undeterred, however, and when former F1 chief Bernie Ecclestone proposed to explore the idea of setting up a parallel women-only Formula One, she lent her name to the proposal. “It’s not fair to be compared with men because we will never be on the same level,” she told the AP. You can imagine the outrage in the motorsport community, then, when Jorda subsequently landed a position with the FIA’s Women in Motorsport Commission at the end of last year. “It is extremely disappointing to learn that a racer with no notable results in any of the categories in which she has competed and who believes and is quoted as saying that she does not believe we as female racers can compete has been appointed,” IndyCar driver and prominent female racer Pippa Mann told Autosport. A myriad of female drivers, including Tatiana Calderon, Danica Patrick, Pippa Mann queued up with words to the same effect. Even 2009 F1 champion Jenson Button got in on it. But Jorda isn’t supposed to be the story. As headline-grabbing as some of her commentary is, she is no longer actively attempting to climb the motorsport ladder. Indeed the question of whether her continued negativity is worthy of clicks given her views are shared by just about no-one else has been explored is almost as much detail as those claims themselves. It’s fair enough, then, to ask whether a column that opened with praise for Tatiana Calderon and hope for the small sign of progress for women in Formula One should have been so devoted to Jorda’s antics. But for me the answer is simple: Jorda’s views necessarily hold weight no matter how unrepresentative they are so long as she holds a position with the FIA as an ambassador for women in motorsport. The real question is whether Carmen Jorda is fit to hold that position in the first place. ← Is Honda on the cusp of its redemption story?